A lovely card to send a special someone who’s like a mum to you. This cute 3D banner style message is a great sign to show how much they mean to you on this special day. For a little extra sparkle the card design is finished with a three paper mini flowers (assorted based on stock levels) with 2mm silver and pearl gems. Wording on Card: Just like a Mum, Who shows me sunshine, though we may not be related through the blood line. Your advice, love and kindness could never be greater defined. A special someone for this card is a sign, to show the happiness in which you bring into my life. Happy Mother’s Day. Please note that banner cannot be removed from card and is made as part of the card. Due to the way in which this card is made a Silver Spring Graphics branded sticker is also added to the back of the card. This card is dispatched between 2-3 working days in a board backed envelope. Printed on 240gsm white card, card size is square 140mm x 140mm with a white envelope, both card and envelope are presented within a cello bag for posting. Our cards are handmade and made to order. 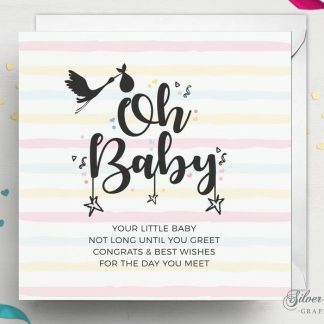 Card is blank inside for you to write your own personalised message. Thanks for taking the time to visit Silver Spring Graphics shop, we hope you like our items just as much as we love making them! All cards are dispatched by Royal Mail. Shipping costs are applicable to this listing. All designs are copyright and remain that of this shop Silver Spring Graphics. Colours may vary due to monitors, tablet device and smartphone settings and therefore there may be a slight difference between monitor colours and printed version. Any other items displayed in the listing photos are not included within the listing and are for illustrative purposes only. Unfortunately all customised orders are non-refundable due to their personalisation. Silver Spring Graphics Limited is committed to the privacy of your personal data by protecting and respecting this information. Our privacy notice explains how we collect, store and use personal data about you. In addition our privacy notice provides you with details about the types of personal data that we collect from you, how we use and store your personal data and the rights you have to control our use of your personal data.